So glad friends and grant partners at the BLM-Barstow office called to see if we could bring the community together again for National Public Lands Day on Saturday, October 6th from 8:00AM – 12:00PM. Join us! I have also invited a few of our expert collaborators to share their ongoing research as part of Our Giant Rock – A Community Touchstone in the Mojave, which was awarded a California Humanities Project Grant in December 2017. This #storiesandstewardship event is part of the grant program with the Hi-Desert Nature Museum in advance of our digital exhibit opening in Fall of 2019. We are joined again by the Mojave Desert Land Trust and the Landers Community Association and of course my creative reuse mapping project Blightsites. We will provide water, the amazing tool trailer, safety and conservation information and complimentary 2018 NPLD t-shirts! Sign up here with MDLT or just show up. Please join is to learn more about our cultural heritage and meet other volunteers who share an appreciation of our precious public lands at this important Mojave boulder! 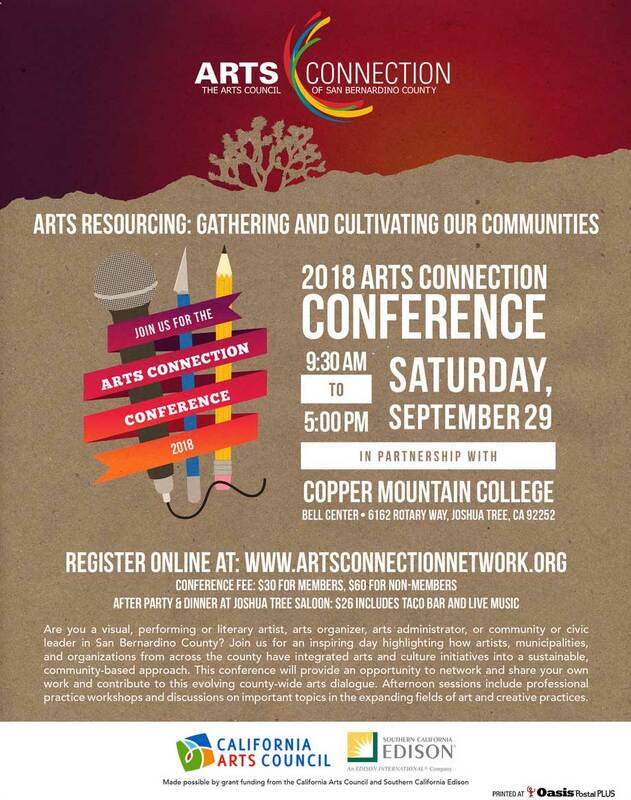 So pleased to be invited by Cathy Allen to share my placekeeping pop-up projects at the annual Arts Connection – The Arts Council of San Bernardino Conference. Join us Saturday, September 29th. The session features a panel of creative professionals committed to art forms such as social practice, experimental sound, performance, spoken word and pop-up works. Those presenting will discuss inspiration sources, processes, challenges, and their personal fulfillment from engaging in alternative methodologies. The event takes place all day with lots of other panels and wonderful before and after activities for an additional cost. Here is the link to register. Have you ever lost something, or been lost? Have you ever found something, or been found? Can losing one thing help you find something else? Are things lost or just existing in another register? My contribution, another piece from the Waste Wunderkammer, an archive of trash collected and documented over the past 5 years, was found in Joshua Tree in 2016. The remarkably well preserved newspaper supplement from 1970 features a two color advertisement for the Jellystone Campground in Yucca Valley, a Yogi the Bear themed resort. The piece includes a photo of where the document was procured and research into this now defunct part of local history, 34.1468, -116.2999. Join us at the Antelope Valley Conservancy for an exhibit featuring Selections from the Waste Wunderkammer. Collected over the past five years from the desert, there will be dirt and dust and research into the provenance of these sometimes rare, sometimes sublime, storied objects along with documentation of their discovery and, of course a map! Opening Saturday, August 25th from 4-7pm in Quartz Hill, this event is part of Maiden L.A. so make sure to check out the other #lacounty wide events through the end of August. This exhibit runs through October 25th. Artist talks are September 22th, for National Public Lands Day and October 20th. Come explore the weird things I have rescued from the AV desert and learn about prevention, resources, reuse and preservation of our fragile habitat and watershed lands. The Llano del Rio colony was attorney Job Harriman’s project after losing the mayoral race in 1911. By 1914 about 200 socialists had bought shares to participate in his Utopian experiment in the Mojave Desert where they struggled until 1917. 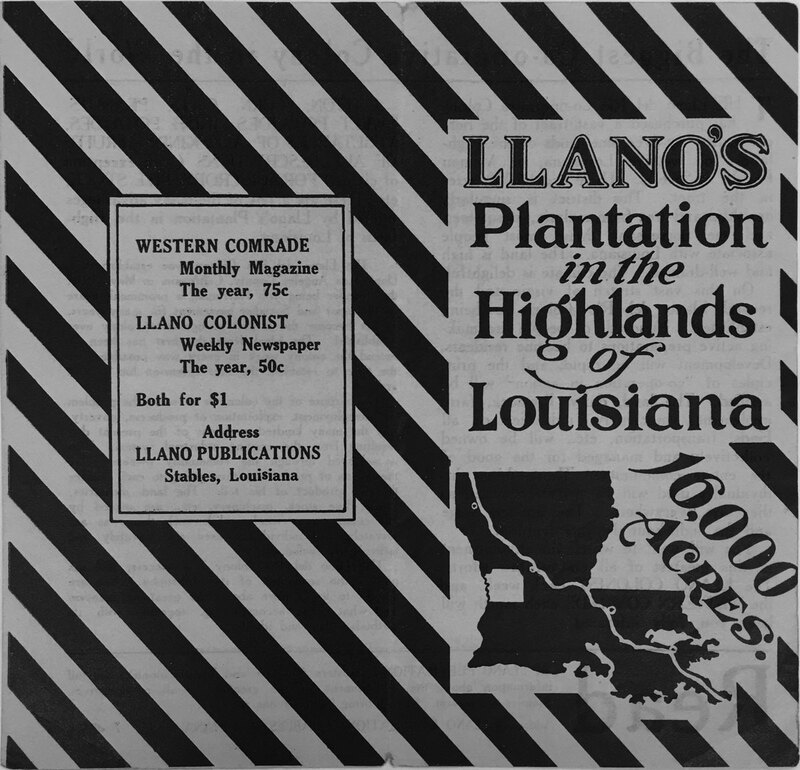 The die hards of the group relocated to New Llano, Louisiana where they survived until 1937. Today, about 1 hour from Los Angeles, the ruins are prominent along Hwy 138, yet over the 3000+ acres held by the colony are additional ruins and foundations. PositionalProjects.org works with the private landowners to offer alternate experiences of these places each May, marking the May Day celebrations at the colony. This year we consider the residential area south of HWY 138. At its height, 900 people resided at the colony. we’ll tour their foundations, have a historic tent on display with ephemera and reproductions of the colony’s prolific pamphlet production as well as a newly discovered promotional postcard collection. You’ll be able to create your own postcard from Utopia with postage stamps honoring Alice Constance Austin, little known feminist architect of the future residences planned for the colony. 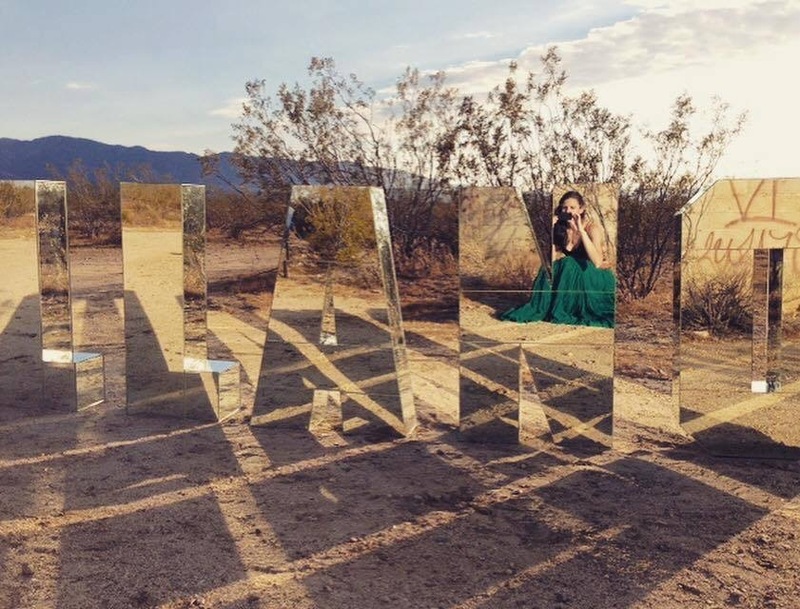 The local Antelope Valley trio, Anahata Mousai will offer a magical 30 minute sound bath magnified by the shape of the silo ruin. Relax and look up at the sky while the sounds of crystal bowls, gongs and chimes wash over you. This February, join Paul Greenstein, co-author of the definitive history of the Llano del Rio Colony and PositionalProjects.org founder Karyl Newman, both will share research from the past and present at LCA’s annual potluck. Greenstein’s book, Bread and Hyacinths: The Rise and Fall of Utopian Los Angeles is now out of print, bring your copy to be signed by the author. A few copies remain available online. In December 2017, Newman spoke at the Museum of the New Llano Colony in New Llano, Louisiana to commemorate, connect and share research about the 1917 exodus from the Antelope Valley. With the support of the Leesville Tourism Authority, Museum director Mary Ann Fussell, and local historian Martha Palmer our communities now have a sister-utopian connection between Llano, CA and New Llano, LA and open communication about research and events. Come to our gathering at the next meeting. What will you learn? Newman will recount the 100 year old journey from California to Louisiana by rail and by car as she shared in her presentation in December at New Llano. 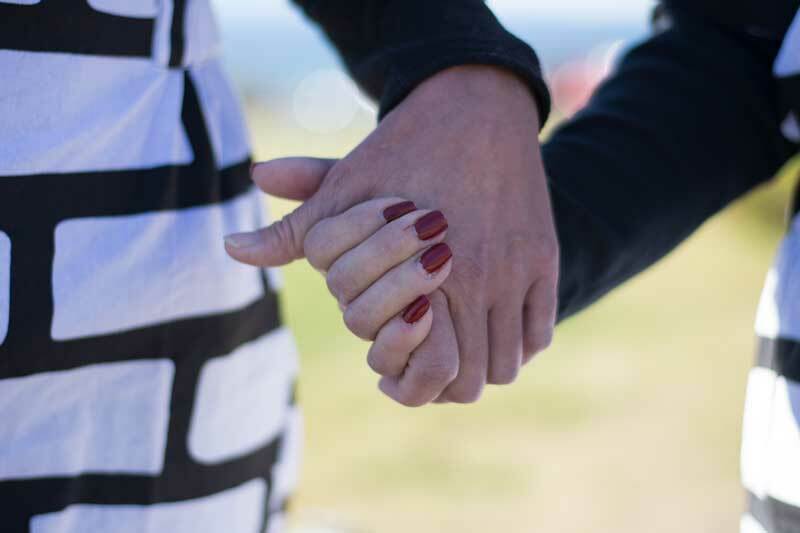 On January 20, 2018, 23 bodies formed a peaceful and silent wall at Trump National Golf Club for #brickxbrick2018 – 12 nationwide wall actions took place around the country simultaneously as part of the #womensmarch. My friend and fellow artist Andrea Lauer came up with the wall against misogyny concept with Sarah Sandman now known as #pdacollective. I stood with them in #nyc in front of Trump International Hotel in October 2016 and watched as strangers were moved to tears. My lifelong friend Maribeth Borowski, her sister Kathleen Borowski and their cousin Andrea and I joined #brickxbrick in DC last year, another incredible strength building experience in such difficult times. As a result, Maribeth and I coordinated #brickxbrick2018 in Los Angeles. We kicked it off with participants and supporters together on Friday for a #bxb suit try on and delicious pot luck. The LA Bricksters, spanning ages 16-70 gathered again on Saturday morning to don our #politcaljumpsuits. We were in place in Palos Verdes by 10am in solidarity with 11 other simultaneous #brickxbrick #directartactions nationwide. Follow #brickxbrick2018 see them all! We stood hands clasped in silence for one hour as the public read the patches on our brick print jumpsuits spelling out derogatory quotes made by #45 against women and POC. Law enforcement came out to make sure we were safe, people stopped, took photos and thanked us, cars honked and gave a thumbs up and only two guys on motorcycles gave us the middle finger! Thank you Luis, Julie, Mari, and Chris for being our representatives with information about the action for the public so we could stand peacefully. The beautiful images of our action are by Alyssa Yung. One hundred years ago this month, two groups of colonists from Llano del Rio made the trip to Stables, Louisiana from the Antelope Valley in California. 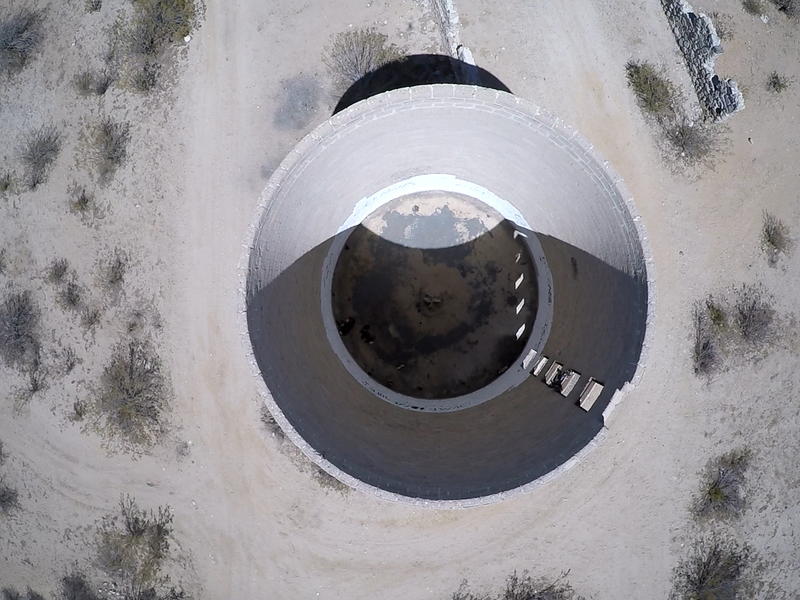 In honor of this centennial, artist Karyl Newman will travel to New Llano to share her fieldwork, research, events and exhibits organized at sites around the desert ruins of “the most important non-religious Utopian experiment in western American history” – California State Historic Preservation Office. As the 2016-2017 Archibald Hanna Visitng Research Fellow at the Beinecke Rare Book & Manuscript Library, she continues to make discoveries using clues from the Walter Millsap Papers in the Paul Kagan Utopian Communities Collection while seeking out relatives of comrades and their private collections. The Mojave location offers no historic marker and Newman looks forward to learning from Louisiana and the Museum of the New Llano Colony. In lieu of a brick and mortar base for ongoing utopian studies in Llano, please explore the ON ALL Day digital exhibit made possible by a grant from California Humanities at http://bit.ly/4AllonLlano. 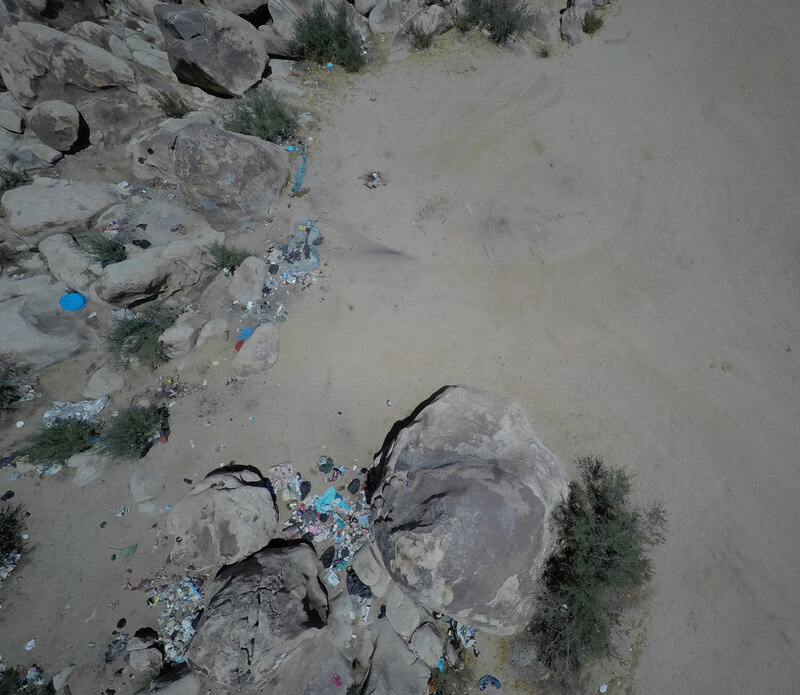 An Explorer of the Mojave Desert shared sickening images of illegal dumping with the XMD Facebook group – an abandoned long term camp with rotting food, tents, inflatable mattresses, clothing and much more too gross to go into here. He and many others wanted to organize a cleanup. Blightsites and DEHSART have collaborated in the past on #storiesandstewardship clean up events at Giant Rock, so I contacted the BLM-Barstow Field Office. 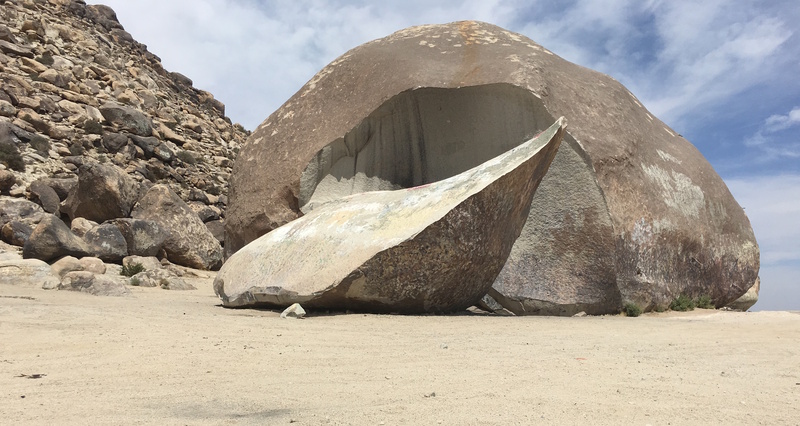 Turns out a lot of people care about Giant Rock as the Landers Community Association posted about it and explained the Mojave Desert Land Trust wanted to help. Please join all of us for a public display of affection for our public lands on Saturday, September 9 from 8-11 AM. I’ll be sharing some stories about Giant Rock from my ongoing research and I hope we’ll learn others while we make quick work of cleaning up multiple sites around Giant Rock while appreciating those we can’t touch! Organized by the BLM BFO, Landers Community Association, the Mojave Desert Land Trust and reporting/creative reuse map project Blightsites.org. Hope to see you there! ON ALL Eve – Figuring the Volume of a Utopian Cylinder, invites you to walk under the waxing sturgeon moon, reflecting on the end of the Llano del Rio utopian socialist experiment in the Antelope Valley with Karyl Newman, arriving at the silo ruin for a tranquil soundbath to contemplate our next steps with local artists Jean Monte, Moriah Cain Gross and Kristen Cramer, known as Anahata Mousai. This ticketed event, co-produced by Positional Projects and LAUNCHLA, was conceived by participants at the ON ALL Day event on May 6th, 2017. Each guest receives a limited edition guide/map. 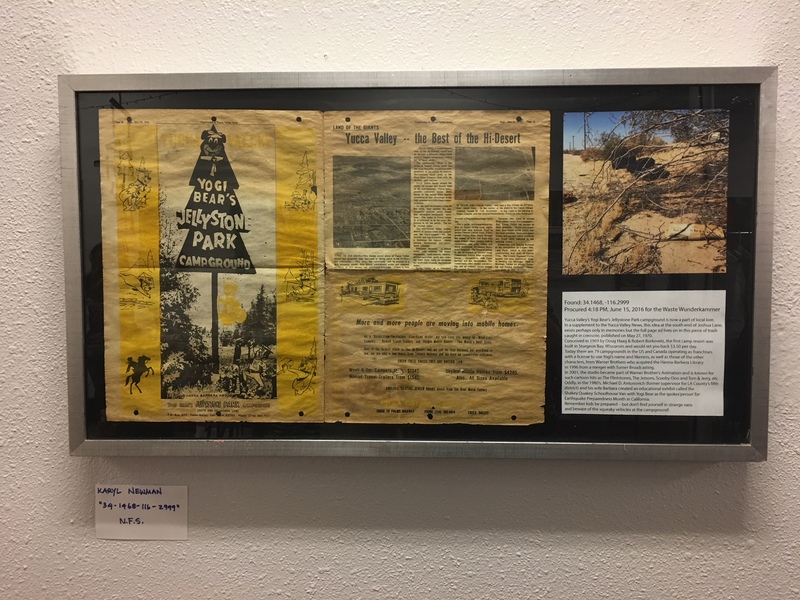 Please view the accompanying online exhibit made possible by California Humanities and Arts Connection at http://bit.ly/4AllonLlano. 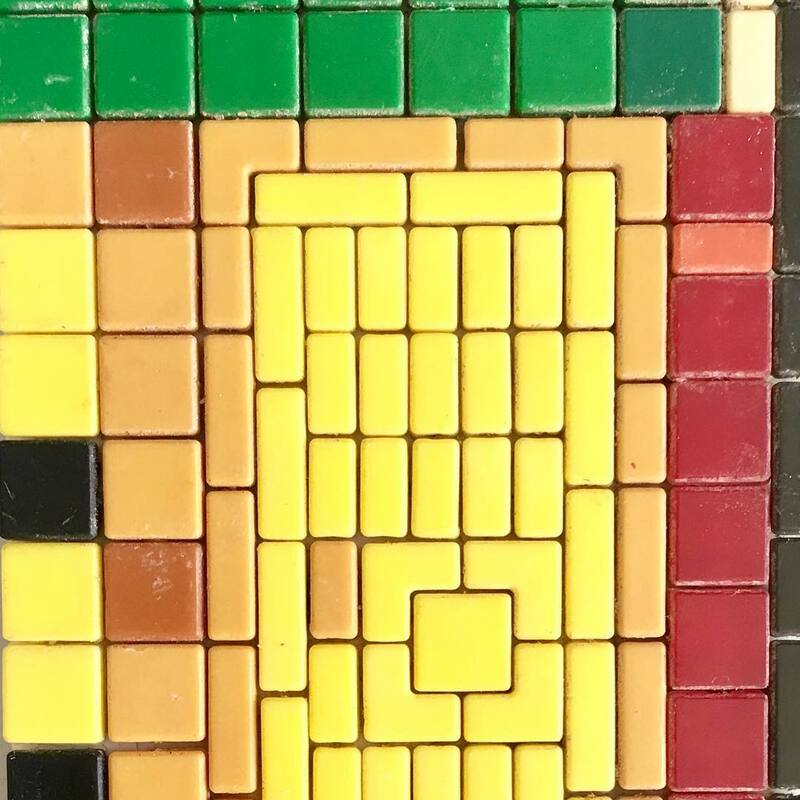 ON ALL Eve is part of Maiden.LA, is an inclusive and expansive county-wide survey of art happenings that in encouraging the use of alternative spaces, considers the city as a platform for generative discourse and exchange. 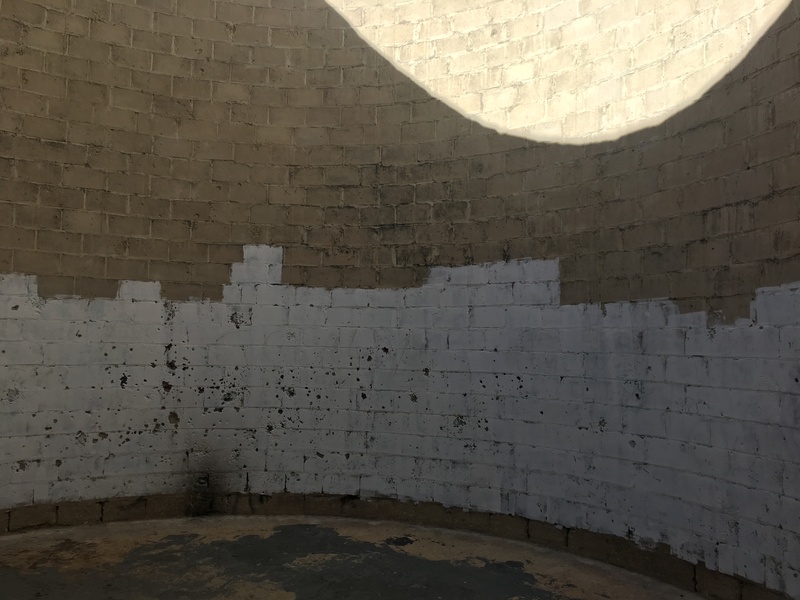 Space is super limited – the soundbath is inside the silo! Only ticketed guests may participate. Reserve your place at 7:00, 8:00 or 9:00PM on Eventbrite.